Update 1.69 "Regia Aeronautica"(changelog) was introduced on 25 May 2017. The update is distinguished by introducing the Italy into the game with an air tree. Significant changes in the "Kuban" location. Performance optimization for "Poland", "Eastern Europe", "Normandy" and "Berlin" (up to 25% performance boost for low end PCs). New trees have been added and some vegetation has been reworked on the "Eastern Europe", "Normandy" and "Berlin" locations. Updated vegetation in "Poland", "Normandy" and "Berlin". Test flight/drive change: a user no longer exits to the hangar automatically after his vehicle has been completely destroyed. Now, War Thunder fully supports the improved performance of the PlayStation®4 Pro console, allowing owners to play War Thunder in 4K resolution. Metal technology support has significantly improved dynamic scenes display in Mac-client and in specific cases it increases FPS up to 100%! Do 217 J-1, J-2, E-2, E-4, K-1 - Flight models have been updated. The error where engines on WEP mode caused the speed of horizontal flight being less than should be possible has been fixed. P-47 (all modifications) - Fuel consumption has been corrected. When using emergency mode with water injection (WEP) the consumption is less than when using the take-off mode (100%). Ju 88A-4, C-6 - A bug that caused the propeller pitch to hang in the extreme position after diving which caused the engines to not spin at normal speed has been fixed. Ki-43 (all modifications) - Flight models have been updated. You can check the full characteristics in the data sheet..Chassis amourisation has been improved. Ki-44 (all modifications) - Fluctuations in aiming have been reduced. Thermodynamics and controlling of radiators have been refined. General controlling for all game modes has been improved. Ki-96 - Flight model has been updated. You can check the full characteristics in the data sheet. Handling on all types of controls has been improved. Acceleration characteristics (especially in a dive) have been improved. Course stability has been improved. Bf 109B-1/L - Flight model has been updated. Propeller motor group efficiency has been improved. The brakes have been strengthened. Stability on all flight modes has been improved. The moments of inertia have been recalculated. The polars of the wing group have been updated. He 100D-1 - A bug when controlling with mouse aim which resulted in uncontrolled rotation (corkscrew) at low speeds has been fixed. F-82E - Maximum allowed speed in a dive has been increased to 535 mph. He 51 (all modifications) - Flaps have been modelled (fight/take-off/landing). Spitfire (all modifications), Seafire (all modifications) - The effect of flaps on oil temperature has been fixed. Premium aircraft for first battle completion in German aircraft has been changed from the Marcolin's CR.42 CN to the Bf 109A Flegel. Premium aircraft for the first battle in US aircraft has been changed from Thach's F2A-1 Buffalo to F3F-2 Galer. F2A-1 Buffalo, Thach's F2A-1 Buffalo - BR has been changed from from 1.3 to 2.0. Sound settings changes have been improved depending on the distance of the enemy aircraft (AI). CPU load has been reduced. The position of the sound source for machine guns in ground vehicles has been fixed. Improved smoke visual effects for “fumes” from vessels have been improved, vessel fire visual effects have also been updated. 4k resolution support for PlayStation®4 Pro has been enabled. "Metal" (MAC) render support is now available - it improves game performance by up to 100% on MAC platforms newer than 2012. A bug where information on protected fuel tanks was not being displayed has been fixed. A bug where specific aircraft could not apply user-made camos has been fixed. Ki-67-I - A bug where the preset for torpedo weaponry was opened while researching bomber presets has been fixed. A bug where the torpedo weapon preset was unlocked after researching the bomb pylon has been fixed. P-63 (all modifications) - information about the influence of fuel injection on flight characteristics has been been corrected. PV-2D - A preset without secondary armament has been removed. PV-2D - Defensive armament elevation angles have been corrected. PV-2D - Bomb armament has been fixed, Tiny-Tim rockets have been added. Sunderland Mk.III - A preset without secondary armament has been removed. A-26B-50 - Aircraft class has been changed to attacker. P-51 (all modifications) - Fuel tank visual effects have been fixed. FW 200C-1 - Defensive armament ammo display in x-ray view has been fixed. Pe-8 M-82 - A bug where a defensive turret could still fire whilst its gunner was knocked out has been fixed. Spitfire F Mk.22 - duplicate pylon names for different bomb presets has been fixed. B-29 - Deflection angles of defensive turrets have been fixed. Tu-4 - Deflection angles of defensive turrets have been fixed. Tu-4 - Number of displayed gunners in the crew menu has been corrected. N1K2-J, N1K2 - Ja rocket armament modules have been fixed. F2A-1 - Buffalo offensive armament has been fixed. B-29 - Number of displayed gunners in the crew menu has been corrected. Ki-44-2 hei, Ki-44-2 otsu - Damage model has been updated. Ki-45 tei - Ho-204 - Cannon replaced with Ho-203. F1M2 - Defensive armament info has been updated. Ki-21-Ia - Defensive armament info has been updated. Ju 88A-4 - A bug where the rear defensive turret could still fire whilst its gunner was knocked out has been fixed. I-301 - Offensive armament info in x-ray view has been fixed. Fixed a bug where some bombs were dropped from external suspension pylons on some aircraft incorrectly. Corrected the name of Japanese bombs. Added the correct army and naval classifications. 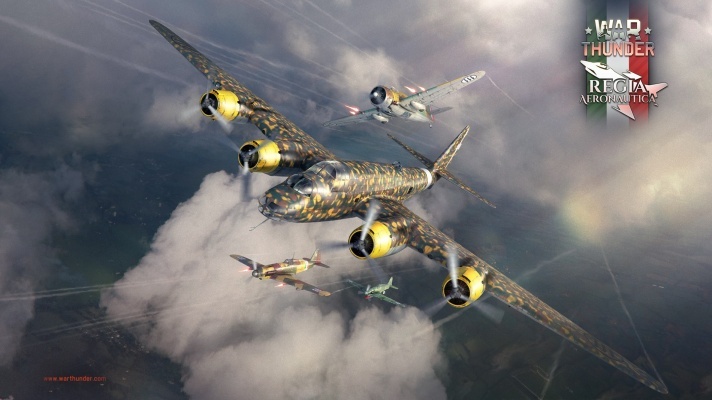 IL-2 1941, IL-2 1942 - Presets of rocket and bomb options were added. Bf 109G-6 - Fixed the display of weapons in X-ray mode. Bf 109G-10 - Fixed the display of weapons in X-ray mode. Bf 109K-4 - Fixed the display of weapons in X-ray mode. Yak-9P - Fixed the display of weapons in X-ray mode. Ki-102 otsu - Armour has been fixed. P-40 (all modifications) - The 100 octane fuel module has been removed. DB-7 - The injection module has been removed. Boston Mk.I - The injection module has been removed. Havok Mk.I - The injection module has been removed. He 51A-1 - The injection module has been removed. He 51C-1 - The injection module has been removed. He 51C-1/L - The injection module has been removed. G4M1 - A bug, where dropping torpedoes or bombs required the bomb-bay to be opened has been fixed. SM-79 (all modifications) - The fuselage machine guns have been replaced from Breda machine guns to Lewis machine guns. Italian pilot model has been added. M60A1 - ammo allocation in the turret has been updated . Centurion Mk.3, Caernarvon'\ - gun mantlet and front turret armour has been updated . BM-13N "Katyusha" - The ability to move with the front suspension lowered (imitating undercutting for front wheels) has been disabled. E-100 - Grill texture has been corrected. Tiger II (H) Sla. 16 - Display of track slack has been corrected. IS-2 1944 - Black textures displayed at some distances have been fixed. Sherman Mk Vc Firefly - Historical engine has been added to X-Ray mode. Churchill Mk.VII - Tracks traversing through track side guards have been fixed. RakJPz 2 - Display of machine gun belt for the anti-aircraft machine gun has been added. In aircraft missions on combined vehicle locations, instead of a ground vehicles map an aircraft one will be displayed. Type 91 mod 2 torpedo characteristics have been corrected IL-10 (all modifications) - Duplicate bomb presets have been fixed. A bug where the daily reward was not given to some players has been fixed. Stabilizer performance bug at short distances has been fixed. Smoke display bug on minimal graphics setting has been fixed. A bug, where a destroyed wheel would continue to show behind the aircraft on occasion has been fixed. Ho-Ro - minimap icon has been fixed (it was previously displayed as a medium tank). A33 – camera position in SB has been fixed. ZiS-43 - camera position in 3rd person view has been moved further from the vehicle’s model. Previously it was too close which caused some problems. Tortoise — gun sight magnification has been fixed. 29-K – artillery module has been removed. Matilda F-96 - artillery module has been removed . D-350А smoke shell has been added. M8 Scott – minimap icon has been fixed (it was previously displayed as a light tank). Vickers MBT — minimap icon has been fixed (it was previously displayed as a heavy tank). Matilda Mk.II — minimap icon has been fixed (it was previously displayed as a medium tank). KV-2 ZiS-6 – a bug where certain ammo rack modules in the turret wouldn’t catch fire/explode has been fixed. M47 – Turret rotation speed has been increased from 24 to 36 degrees according to TM 9 718A "90mm GUN TANK M47". M47 – Tank weight has been decreased from 45800 kg to 44100 kg. According to TM 9 718A "90mm GUN TANK M47". T26E1-1 — available ammo has been decreased from 70 to 42 rounds. Previously it had the ammunition load of the mass produced M26 variant. M26, M26 T99, M26E1 – The number of respawns for simulator battles has been increased to two. Jagdpanther, Bfw. Jagdpanther - The number of respawns for simulator battles has been increased to two. 20mm C/30L - AP-I round penetration value has been increased and is now equal to 2cm Flak 38. MK108, MK103, NS-37 - The damage effect calculation of the HE rounds has been updated. JPz 4-5 - DM502 (HEP) has been added. KV-122 – gun sight magnification has been fixed. M47 – vertical guidance has been changed from -10/+19 to -5/+19. According to TM 9 718A "90mm GUN TANK M47". FV4005 – side screen thickness has been increased from 1mm to 6mm. Tank stabilizer performance has been corrected - shaking now has less effect. Stirling Mk 1 — deflection angles for defensive turrets have been corrected. H8K2 — deflection angles for defensive turrets have been corrected. H8K3 — deflection angles for defensive turrets have been corrected. Ki-21-1 hei — deflection angles for defensive turrets have been corrected. A-26 (all modifications) — deflection angles for defensive turrets have been corrected. Z.1007 bis series 3 — deflection angles for defensive turrets have been corrected. Z.1007 bis series 5 — deflection angles for defensive turrets have been corrected. New aircraft have been added for arcade ground battles: Ki-21-Ia, Yak-1, P-36G Hawk, Hurricane Mk1/L, B-18A, Su-2 М-82, Hampden TB Mk.I, B5N2, Ju 87G-2, Hurricane Mk.IV, A-36, F6F-5N, B7A2, Hs 129B-3, IL-2-37, N1K2-Ja, Me 410B-2-U4, Mosquito FB Mk.XVIII, Tempest Mk.V (Vickers P), P-51D-30, G8N1, Fw 190F-8,B-57B, Тu-14Т, Su-6 (M-71f), Me 262C-2b, Ar 234C-3, R2Y2 Kai V3, Brigand B1, AD-2, Do 335A-1, Canberra B(I) Mk.6,P1Y1 mod.11, J7W1, MiG-15, Venom FB.4, F-86F-2 Sabre. A bug where the “pilot is unconscious” message was displayed when only wounded has been fixed (source). The aircraft damage indicator display bug on the high resolutions has been fixed (source). Players who are participating in the “Invite a friend” program will now receive an additional vehicle slot in the Italian research tree (additional slots are received for 10 invited friends who then reach rank 3 in any nation). A bug, where after returning from flight with aircraft it wasn’t possible to control the turret in ground battle has been fixed. A bug that led to the rapid destruction of the tail stabilizer has been fixed. A bug causing oscillation of the wing when taking off in the Do 335A-1 has been fixed. Lack of damage cam when shooting with 75mm cannons against ground vehicles (for example on the Hs 129B-3) has been fixed. A bug where the 57mm Mosquito FB Mk.XVIII cannon did not cause damage to allied ground vehicles has been fixed (source). A bug where trajectories of rounds and shards were not displayed in the hit cam view has been fixed. Object 906 movement across shallow water has been fixed. Repair timer has been fixed. Torpedo sights for fixed torpedo tubes have been fixed. AI tanks no longer go through the mountain in [Ground strike] African Canyon mission. AI aircraft in Korea mission no longer crash into a mountain. A bug where a mission ended too early in the [Tournament] Gladiators 4x4 has been fixed. C.202/205 (all modifications) — Compression of the rudder at high speeds (600 km/h on cockpit instruments) has been reduced. Pulling out is now much easier. Control in AB with mouse aim has been improved. G5N1 — Propeller motor group (engines and props) has been completely reworked. Aerodynamics of the fuselage and tail has been recalculated. The moments of inertia have been refined. Ta 154 — A bug which led to unstable operation with engines at altitudes above 5,000 meter has been fixed. Display of interface fonts on some MacOS devices has been fixed. Lack of the displaying of nicknames in the viewer mode has been fixed. A bug in the “non full” client, where in some cases the inscription "Model with reduced textures" was not displayed has been fixed. Display of an additional timer regarding unavailability of respawn in random battles has been fixed. A bug where reflections on water were incorrectly displayed when the camera was rotated has been fixed. A bug in displaying the balance of Golden Eagles when expanding the training squadron by purchasing "+10 to the size of the squadron” has been fixed. Display of aerobatic smoke on lower graphic settings has been fixed. A bug where whilst in the mission [Ground Strike] Spain, zooming or turning the camera in some cases created artifacts on the landscape has been fixed. A bug in the animation of launching smoke grenades when clicking the launch button. A bug in tournament battles where the enemy appeared as spotted with the marker when reviving at the respawn point has been fixed. Display of visual damage effects after being struck with HE and HESH shells has been fixed. ​Client stability has been improved. A bug related to a reduction in detection range of enemy vehicles in ground battles and the decreasing of the “visibility” parameter in the vehicle cards (in-game description) has been fixed. A bug where a decal wasn't being displayed on an aircraft from cockpit view has been fixed. "Enduring Confrontation" battles merged in one section. SB pilots are now able to view all available rooms without rank selection. M47 - increased fire rate from 6.6 per minute to 8 per minute. Source: TM 9-500 "DATA SHEETS FOR ORDNANCE TYPE MATERIAL. M4 748 (a) - new shells available: T45 APCR shell and M89 smoke shell. Repair costs and award multipliers of vehicles have been recalculated (details to follow). The reward for damaging an enemy base has been reduced by 10% for 3rd rank and by 15% for 4th and 5th ranks. The reward for destroying an enemy base has been reduced by 10% for 4th and 5th ranks. Scoring for actions in the battle for ground vehicle PvE (“Assault”) has been increased by 30%, and for aircraft, reduced by 15%. The costs for entering battle in the aircraft/ground vehicle PvE (“Assault”) has been increased by 30%. A problem that led to instability in an aircraft with minor damage of the wing has been fixed. Fixed a bug due to which side gunners on a damaged G8N1 could not be fired with manual control. A bug which would occur when switching to the “floating camera” while viewing a replay, where the camera would move beyond the battlefield, has been fixed. A bug which caused the display of incorrect fonts in the game, occurring in relation to the last version of the Nvidia drivers, has been fixed. A bug where an incorrect message ”outdated video driver” was displayed has been fixed. A bug where the damage indicator for some vehicles would not fit into the screen has been fixed. The display of the vehicle research progress bar in 4k resolution has been improved. A bug that leads to a client crash on occasion when using smoke shells in the ground battles has been fixed. A bug in PS4 client where enemy markers in tank AB were not always displayed has been fixed (source). A bug, where decals on vehicles in battle were not always being displayed, has been fixed. A bug where changing camouflage on some vehicle types was not possible has been fixed. In ground “Assault” friendly AI SPGs have been removed. Now instead of allied SPGs being destroyed the friendly team will lose points - after each successful wave the team is rewarded with some points. New ground PvE mission - Sinai - has been added. Players will be opposed by British AI ground vehicles. Fixed a bug where the sound of shots from AI-controlled vehicles were not always reproduced (source). Now on vehicles with multiple crew reloaders, the load time is correctly displayed, this is dependant on the number of reloaders that are conscious at the moment of reloading. A bug, where by switching to the rear view camera it would show the inside of buildings, has been fixed. (source). Maus, E-100 - the thickness of the material on the breech is corrected (increased) from 10mm to 60mm. PB4Y-2 - Names for the weapons that are on pylons have been corrected. PB4Y-2 - A bug where research of pylon weaponry modifications led to incorrect bomber presets being opened has been fixed. PB4Y-2 - The elevation angles on the side defensive turrets have been adjusted. PB4Y-2 - Armour has been improved. Armour elements have been added. G-50 AS serie 7 - German bomber preset has been changed to the italian 2x GP.50. SM 79 (all modifications) - The preset with 12х GP.100 bombs has been added. He 112v5, B-0, B-2 - Injection module has been added. He 112A 0 - Injection module has been removed. IL-4 - The elevation angles of the upper defensive turret has been adjusted. DB-3B - The elevation angles of the upper defensive turret has been adjusted. Bf 109G-14/AS - An inability to create custom camouflage has been rectified. Breda 88 (P.XI) - The module “Wings Repair” has been moved to the 3rd rank of module research. TBF-1c - The elevation angles of the upper defensive turret has been adjusted. Tu-4 - The elevation angles of the upper defensive turrets has been adjusted. Z.1007 (all modifications) - Bomb drop order has been changed. B-29A-BN - The elevation angles of the upper defensive turret has been adjusted. G8N1 - The elevation angles of the upper defensive turrets has been adjusted. H8K3 - The elevation angles of the upper defensive turret has been adjusted. BR.20 DR - The elevation angles of the upper defensive turret has been adjusted. A-20G-25 - The elevation angles of the upper defensive turret has been adjusted. Ju 87 (all modifications) - The elevation angles of the upper defensive turret has been adjusted. G.56 - The ammunition storage for wing cannons and engine-cannon has been adjusted. MG 151/20 from 200 to 250 shots for wing cannons and from 250 to 300 shots for engine cannon. The main parameters tab in the game settings has been changed. Now it includes interface settings, and all parameters are now divided into categories. Fixed an issue where display of a window with a combat trophy was not represented. Fiat G.91R/1 - The working modes of the engine have been changed: 101% — 10120 rpm, 15 minutes at 730C, 96% — 9920 rpm, 30 minutes. A bug which would cause reload times to increase a significantly large amount after a vehicle’s loader was eliminated, has been fixed (source). A bug related to the display of the ground forces damage cam, where the accompanying damage/crew death log text would be incomplete, has been fixed (source). A bug related to the distribution of shells in the ammunition compartment of ground vehicles has been fixed. 14.5mm KPVT MG bullet ballistics have been fixed. A bug where the 3rd stage of the battle tasks (for warbonds) wasn’t displayed in the promoblock has been fixed. A bug, where unconscious crew members would not be outlined in the damage-cam, has been fixed. A bug, where the in-game chat during battles would overlap with the damage indicator, has been fixed. A bug, where specific multi-engined aircraft would have a dust effect coming from the fuselage, has been fixed (source). A bug which would cause the dust effect to be displayed while engines were not operating has been fixed (source). A bug which would cause the crosshair in sniper view to move whilst aiming at an obstacle in specific tanks has been fixed. The ability to bind specific sight range controls in the tank control settings has been added. A bug with the Sd.Kfz.234/4 which would cause an applied camo to appear on the wheels has been fixed. A bug which would occur in Enduring Confrontation, where tasks related to finding enemy airfields wouldn’t work properly, has been fixed. Type 65 AA: 37mm BR-167P shell clip is now identical to ZSU-37 gun 61-K - one HVAP-T round to two HEFI-T rounds. Fixed a problem where the inversion trail from an aircraft was too prominent in clouds. Spawn point requirements for rank 3-5 light tanks in combined Realistic battles has been reduced. A bug which would cause higher than normal respawn scores when repairing or reloading on the airfield in combined RB battles has been fixed. A bug occurring in aircraft with 2 pilots, where if one of the pilots lost consciousness the aircraft would be considered destroyed, has been fixed. A bug related to the display of Simplified and Traditional Chinese, Korean, and Japanese characters in the in-battle interface has been fixed (source). This page was last edited on 18 January 2019, at 02:05.